Louis Aragon’s 1924 prose-poem-essay (Une vague de rêves) is a compelling, lyrical, first-hand account of the early days of surrealist experimentation in Paris. Aragon vividly describes, and philosophically evaluates, the inner adventures, the hallucinations and encounters with ‘the Marvelous’ which took the young surrealists to the brink of insanity as a revolutionary new era in Art History was born. Among Aragon’s companions in derangement are André Breton (whose own Surrealist Manifesto was preceded by this book), Max Ernst, Man Ray, Antonin Artaud, Robert Desnos, Georgio de Chirico, Philippe Soupault and Benjamin Peret. This beautifully presented art book contains Susan de Muth’s translation of the text in English with an introduction by Professor Dawn Ades OBE. 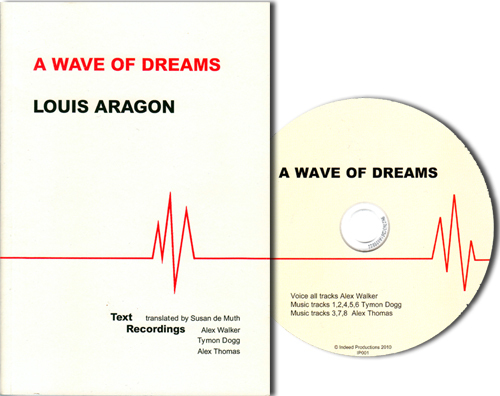 The physical copy of A Wave of Dreams is accompanied by a complimentary CD of eight extracts from the test, spoken by actor Alex Walker, evocatively set in musical soundscapes by Tymon Dogg and Alex Thomas. 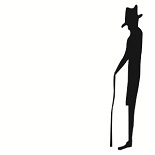 ‘A leftfield treat…mysteriously opaque and strangely lovely.’ Thomas H Green, Daily Telegraph.